Need Help Tracking Down Appliance Replacement Parts? If you are having trouble putting a name to an elusive replacement part, Mr. Appliance® of Marion County is here to help. We have access to a wide range of residential appliance parts, making it easy to get your kitchen appliances or laundry equipment back in working order. All you have to do is give us a call! 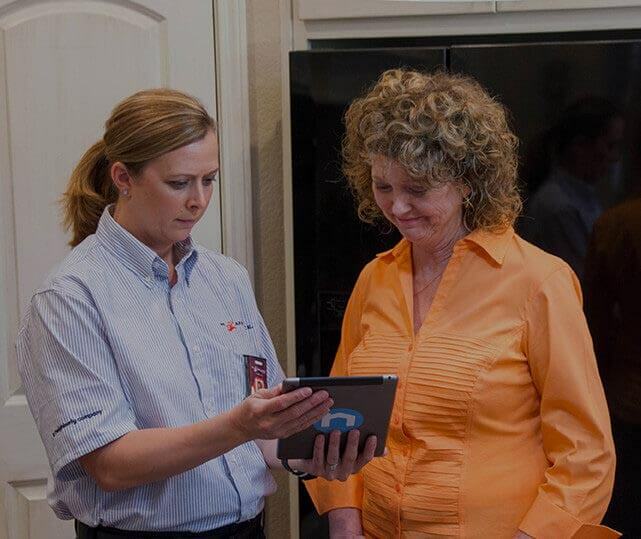 Our experts work around your busy schedule, so don’t wait to schedule your next service today. All of your appliances work hard, be it your refrigerator, washing machine, or dishwasher. To keep them operating efficiently for the full extent of their lifespan, it is important that you schedule routine maintenance. You should also keep track of their repair and replacement history to ensure that old, worn out or damaged parts are addressed before they cause inconvenient breakdowns. Mr. Appliance of Marion County stocks residential appliance parts from most major brands, including Maytag, GE, Wolf and Sub-Zero—just to name a few. Although you may be tempted to tackle certain maintenance or appliance repair projects on your own, this may end up costing you more time and money in the long run. Contact the local appliance repair professionals at Mr. Appliance of Marion County to ensure that all of your residential appliance parts are installed properly and fixed quickly the first time around. We can get your home back to normal! Before contacting Mr. Appliance of Marion County about repairs, it is helpful to gather as much info as possible about your appliances. This will not only help the technician properly diagnose the problem, but also assist them in making faster and more efficient repairs. Some of the information that you should provide includes the type of appliance, the brand name and a brief description of the problem. Refrigerators: The serial number may be found on the inside wall of the refrigerator or freezer, on the cabinet or door jamb, behind the kick plate or behind a lower drawer. Freezers: The serial number may be found on the back wall of the freezer, on the left or right side, or on an inside wall. In upright freezers, it may be located on the door jamb. Ovens & Ranges: The serial number may be found on the outside cabinet, under the fuse cover, inside on the jambs, under the surface burners or inside the lower drawer. Washers: The serial number may be found in the lower left corner of the front, on the back, under the lid, inside the right back corner or on the back of the control panel. Dishwashers: The serial number may be found on the door itself, on the door jamb, under the control panel, or on the upper left corner of the dishwasher frame. Dryers: The serial number may be found on the cabinet side of the dryer, on the frame inside the door, or behind the front access panel if you have a gas model. Don’t let broken appliances disrupt your life. Contact the appliance repair experts at Mr. Appliance of Marion County to find the perfect residential appliance parts for all of your repair needs. Our technicians are fully bonded and insured, and we guarantee all of our replacement parts and workmanship for one full year. We will also provide an upfront price quote before we start working on your home appliances. Contact Mr. Appliance today at (352) 533-2325!